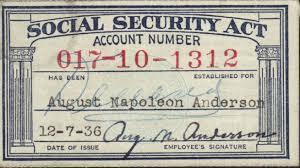 That's right, the Federal Government has been robbing (they call it borrowing) social security trust since inception in 1935. Whats even worse, to pay it back the fed would have to raise payroll taxes on the very same people they stole it from. The Federal Government currently owes the Social Security Trust Fund $2.85 Trillion Dollars. That’s $2,850,000,000,000. Sadly, politicians in Washington couldn’t keep their hands off the money in the Social Security Trust Fund. While both parties have been quick to blame the other one for the raid of the Social Security Trust Fund, both parties have been equally to blame.